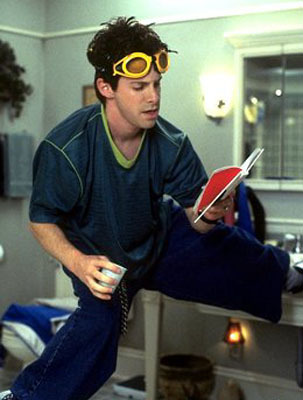 Despite the fact that it's been 14 years since Can't Hardly Wait came out, the movie remains the most poignant story of a foolhardy, rebound relationship an almost perfect time capsule for those of us who were teenagers in the mid-late 90s. In fact, I'd argue, there's something so truly and quintessentially "high school" about that movie that it doesn't matter when you were a teenager, this movie will hit home. It's a silly, fluffy bit of candy floss. But it's one of the most irresistible, quotable, rewatchable movies of the modern era. And if you haven't seen it in awhile, one of Can't Hardly Wait's purest joys is reminding you just how many familiar people were at that party. Here they be, power ranked according to a scientific and not at all whimsical criteria, the cast of Can't Hardly Wait. 19. Jay Paulson: X-Phile #2: This kid shouldn't rank at all. But a role on "Mad Men" means he got to hang out on the "Mad Men" set which means he was within spitting distance of Christina Hendricks and Jon Hamm. So, infinitesimal points for that, Adam Whitman. 18. Melissa Joan Hart: Yearbook Girl: I'd rank you higher, Sabrina, but the whole modern day "Who's The Boss?" thing you've got going with Joey Lawrence makes me terribly sad. How did you get here, Clarissa? Explain that. 17. 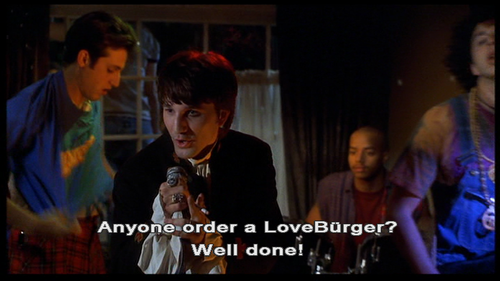 Eric Balfour: Hippie Guy: Along with Jeremy Sisto, Eric Balfour is one of the creepiest things to come out of the 90s. I don't care how many muscles you grow, Balfour, you still have that sad, sad moustache. 16. Jaime Pressly: Girlfriend #1: If this list had come out several years ago when Pressly was at the top of her game on "My Name Is Earl," garnering Emmy nods left and right, her ranking would have been a lot higher. But then she made "I Hate My Teenage Daughter" and I may never forgive her. 14. Selma Blair: Girl Mike Hits On #1: If you're wondering why the co-star of Hellboy is ranked so low, you need only look to her left. It doesn't get much lower than that. 13. 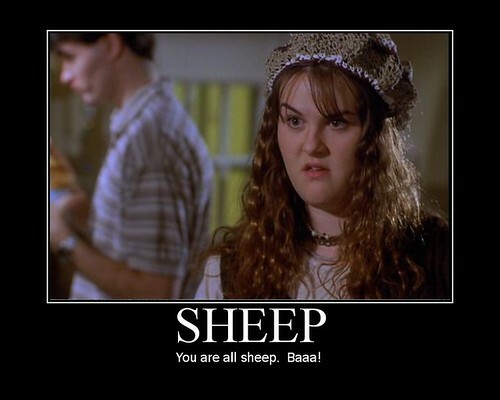 Sara Rue: Earth Girl: Old Sheep Girl is looking pretty fetch these days. 12. Ethan Embry: Preston Myers: As much as it pains me to report this, Ethan Embry recently played "Frick" to Sean Astin's "Frack" in some sort of Wizard of Oz project. What would Vonnegut say? 11. 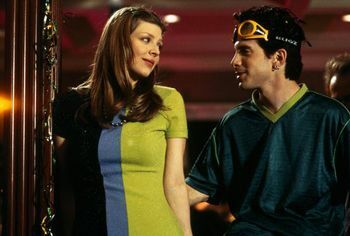 Amber Benson: Stoned Girl: Though she might have been one of the weaker members of the "Buffy" cast (hair tuck...doe eyes...stammer), Amber Benson is officially part of the Whedon crew and that makes her forever one of the cool kids around here. She's also a pretty popular author. So well done, Stoned Girl. 10. Breckin Meyer: Lead Singer: Meyer has a LOT of goodwill stored up as the peanut butter to Seth Green's jelly and the co-creator of "Robot Chicken." But Franklin and Bash cannot be ignored. No matter how hard you may try. 8. Jenna Elfman: The Angel: Jenna Elfman, on the other hand, recently held her own against Glen Close on "Damages." (Yes that show's still on.) Impressive. 7. Lauren Ambrose: Denise Fleming: They say looking good is the best revenge. Yes? After killing it for four seasons on "Six Feet Under," Ambrose has emerged as one of the more respected actors on the list and a solitary bright spot in that terrible last season of "Torchwood." Between you and me, I'm pretty sure those shoes she's wearing don't serve an orthopedic function. 6. Jerry O'Connell: Trip McNeely: He's got an adorable family with much beloved supermodel and landed the lead on the increasingly cool-looking "Munsters" remake. Everything's coming up Trip. 5. Peter Facinelli: Mike Dexter: Being a member of the Twilight franchise SHOULD be marks against Facinelli. But I'm pretty sure it's afforded him a Scrooge McDuck style vault o' gold. So you enjoy your riches. May they fill the Kelly Taylor-sized hole in your heart. 4. Donald Faison: The Drummer: He may not be as high profile as he was in his "Scrubs" days, but Faison will always rank high on any Pajiba list. If only because of this. 3. Jennifer Love Hewitt: Amanda Beckett: Listen, I'm no huge fan of J. Lo. Hew. But the girl has been through humiliating scandal after humiliating scandal and she's still here. So give it up for the cockroach of the Entertainment world. She's got awfully pretty hair. 2. Seth Green: Kenny Fisher: This is Seth Green's wife. Seth Green is winning. 1. Jason Segel: Watermelon Guy: And then there's our Marshall. Beloved sitcom star, Oscar nominee and banger of Michelle Williams. Congratulations, Watermelon Guy, you're our winner. 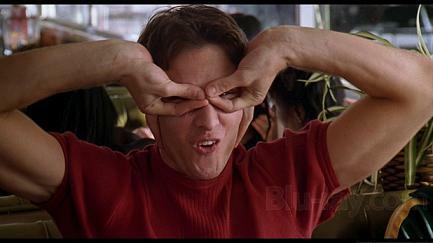 Charlie Korsmo: William Lichter: Can't Hardly Wait is the last thing on Korsmo's IMDB. Which means he went out on top. Well played, Lichter.